What do real-estate agents and the Ku Klux Klan have in common? Why are drug dealers so fond of living with their mothers? I don't know the answers to these questions, but Steven D. Levitt and Stephen J. Dubner do. Levitt teaches economics at the University of Chicago. Dubner is a journalist who writes for the New Yorker and The New York Times. In 2003, The Times sent Dubner to Chicago to profile Levitt, a visit that forged a friendship and a partnership. A couple years later, the two published a book: Freakonomics. Claiming to examine "the hidden side of everything," Freakonomics juxtaposes unrelated topics, like real-estate agents and the Ku Klux Klan. In doing so, Levitt and Dubner pit economics against the human condition in a fascinating, completely original way. Their book is creative and compelling, deep and yet, somehow, simple. It sold seven million copies. What's More Dangerous: Marijuana or Alcohol? How Can One Save $1 Billion Without Even Trying? Their podcast's tone is fun and light, much like their books. It makes for easy listening and serious thinking. It's addicting. The acid trip in question belongs to Kevin Kelly, Co-founder and Editor of Wired magazine. It was touched on in a Freakononomics Radio episode called Someone Else's Acid Trip. Dubner, who hosts the podcast, interviews Kelly. Dubner focuses on Kelly's life: His travels, family, and entrepreneurship. The trip was touched on briefly. Dubner asked if Kelly had ever dropped acid. "There's nothing more boring than hearing about someone else's acid trip!" They both laughed, nervously. Then Kelly said he dropped acid for the first and only time on his 50th birthday. He said he had a professional guide. He said he saw God. And then they moved on to other, "more interesting" topics. I thought, Are you kidding me? I was baffled: How could such a smart, worldly person consider his own acid story boring? I mean, I've never done acid. According to Stephen Dubner, neither has he. So why is Kelly assuming that the audience wouldn't be at least curious about his experience? Is he being squeamish? Was it a bad trip? There's no "You" in an acid story. Acid stories are a bore. There's no "We," either. There's just "I" and "My" and "Me." As far as I'm concerned, it doesn't matter who you are or what you know, if those are the only pronouns coming out of your mouth, people are eventually going to stop listening. It made sense. Kelly is right: Acid stories are a bore. So, in true Freakonomics fashion, I decided to juxtapose a couple concepts. 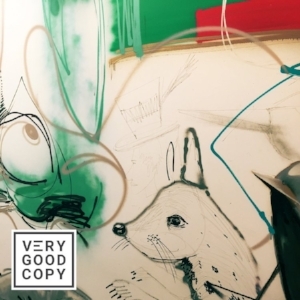 It's simple, really: Don't be an acid-trip copywriter. Your anything because they want to learn more about you. They don't. Prospects don't care about you. They only care about how you can help them, about the value you can provide. And delivering that value starts with pronouns like "You" and "Your" and "We" and "Us." These are the words that make people perk up. These are the words that drive action.